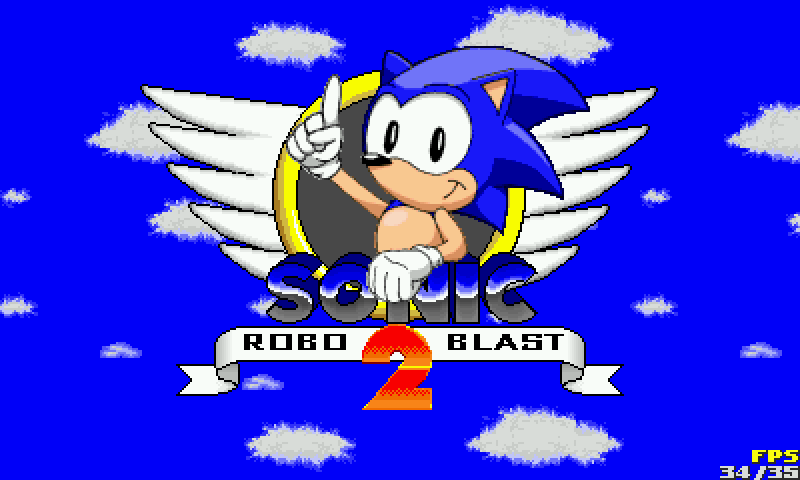 Here is Sonic Robo Blast 2, a Sonic themed 3D jumping game. This is a fresh compile, using latest sources & datas. It use SDL only, as the GL version is not running well (heavy use of glReadPixels & glCopy* making it unuseable with glshim). 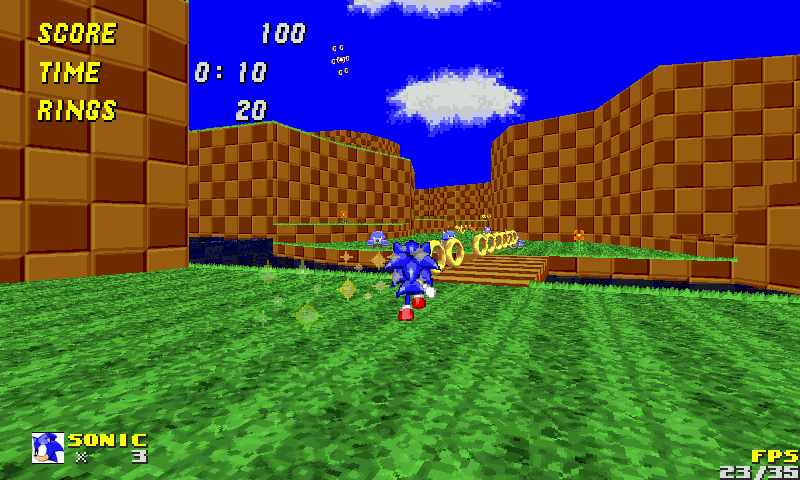 I switched the Nubs to "First Person Shooter" mode (left as joystick, right as mouse), but omapdss makes the nub as mouse (right one) not useable.